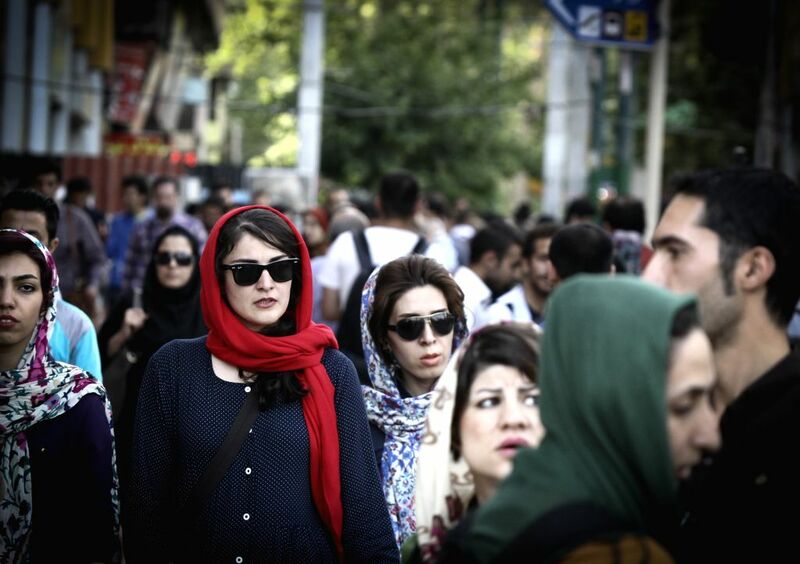 TEHRAN, May 18, 2014 - Iranian women walk on a street in downtown Tehran, capital of Iran, on May 17, 2014. 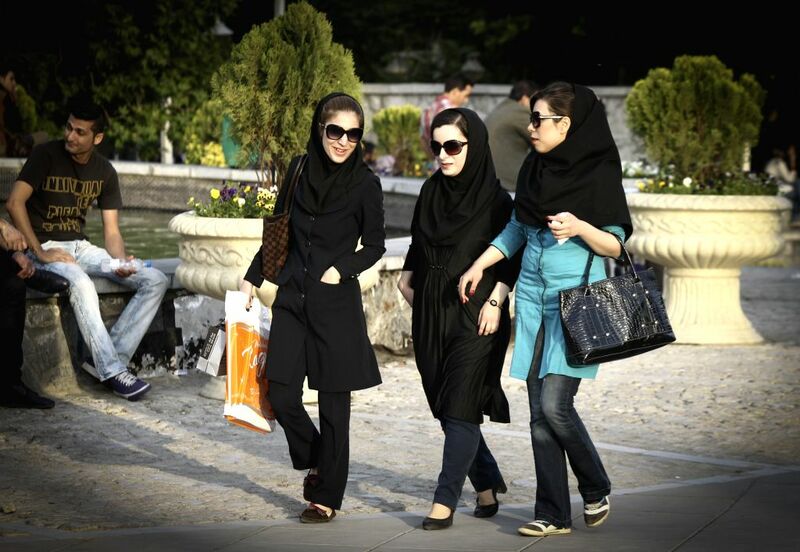 Iranian women enjoy lighter Hijab as the warm season approches. 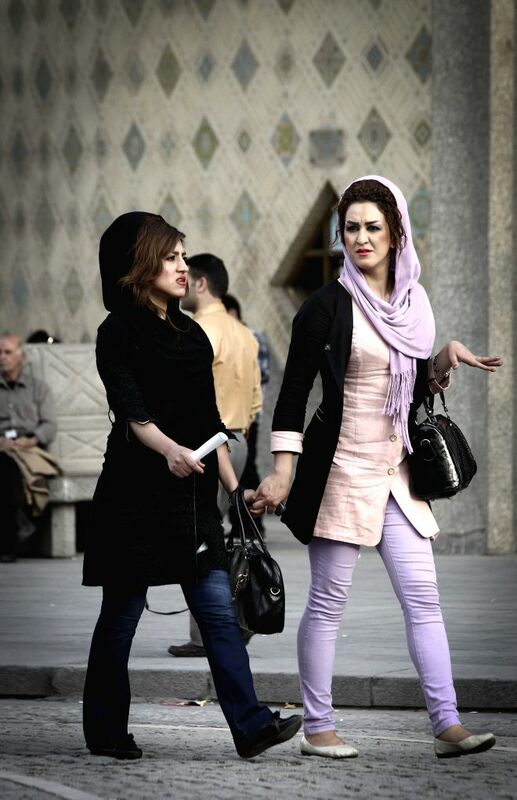 Hijab, a coverage of hair and body for women, has been obligated in public after the Islamic revolution in Iran in 1979.